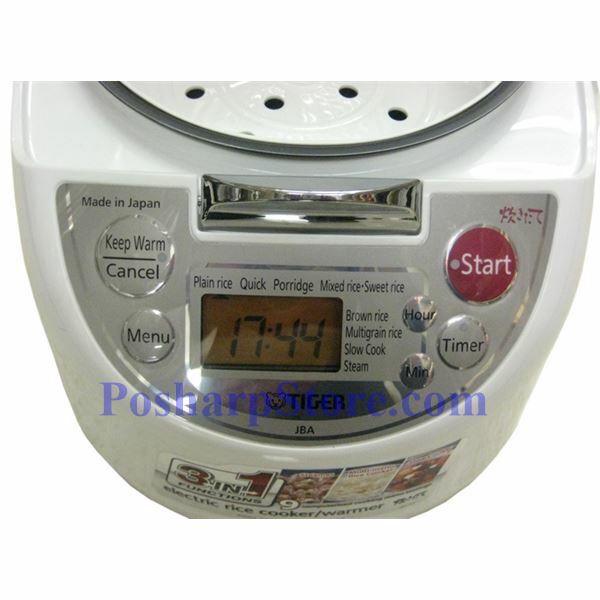 The micro computerized system allows you to enjoy multi rice cooking, slow cooking and steaming.Various rice cooking programs with a single button. Slow cooking always produces authentic cuisine, while steaming basket and computerized program bring delicious steaming dishes to your dinner table. The Tiger JBA-T10U 5.5-cup "Soft Touch button"controlled Rice Cooker/Warmer incorporates the latest in cooking technology to take the guesswork out of preparing rice. With a press of a button, Tiger Automatic Cooking Logic system actively monitors cooking temperatures continuously and senses when cooking is complete. The cooker then switches to a "Keep Warm" mode to keep the meal moist and flavorful until served. A "Set and Forget" timer allows the user delay cooking for up to 12 hours, and with Tiger modern design, it will be a perfect match for you and your kitchen. 1.00L / 33.8oz / 5.5 cups. Automatic Cooking Logic ACL™: Programmable microcomputer controlled cooking ensures perfectly cooked rice every time. Advanced Pressure-controlled steam venting system seals in heat and flavor for the best tasting rice. Special keep-warm heating elements (in the lid and in body) keep rice warm for up to 12 hours without drying or burning of the rice. Menu button selects up to 9 unique built-in cooking choices. Cooking selections include plain (white) rice, Quick (fast cook selection), Rinse free rice, Germinated Brown rice, Brown rice, Porridge, Mixed rice, and Sweet rice. 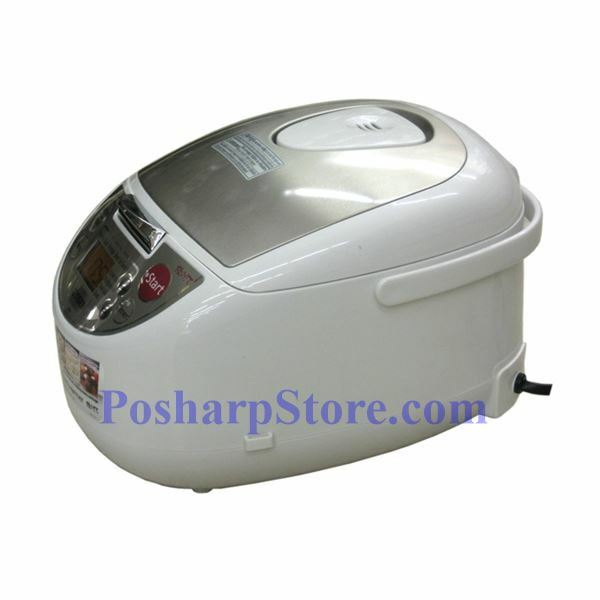 Re-heating cycle brings the rice to just cooked serving temperature. Large LCD with clock and preset timer functions. A signal sounds when cooking is complete and then switches to keep warm mode. Indicator light shows which function is in use. 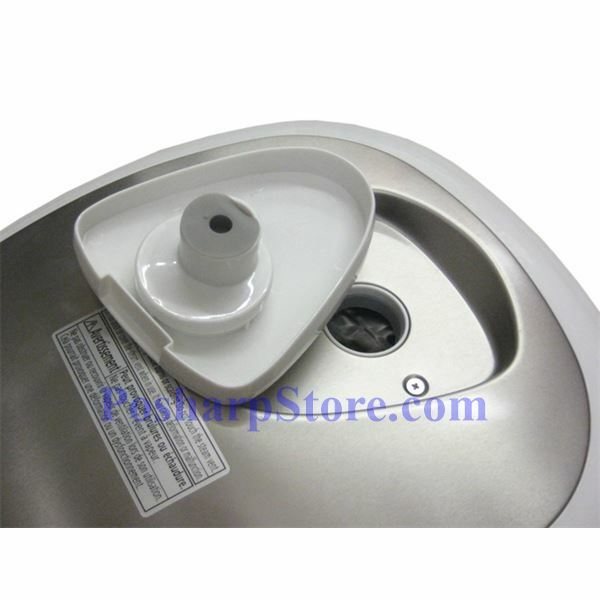 Compact body style with easy tote handle. Roll-up power cord for easy cleaning and storage. Non-stick scratch resistant inner cooking bowl. 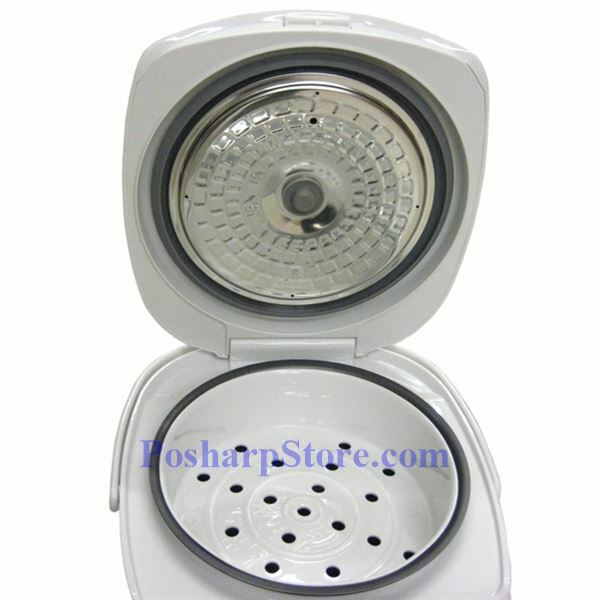 Detachable steam release vent, for easy cleaning. Rice paddle, rice measuring cup included. 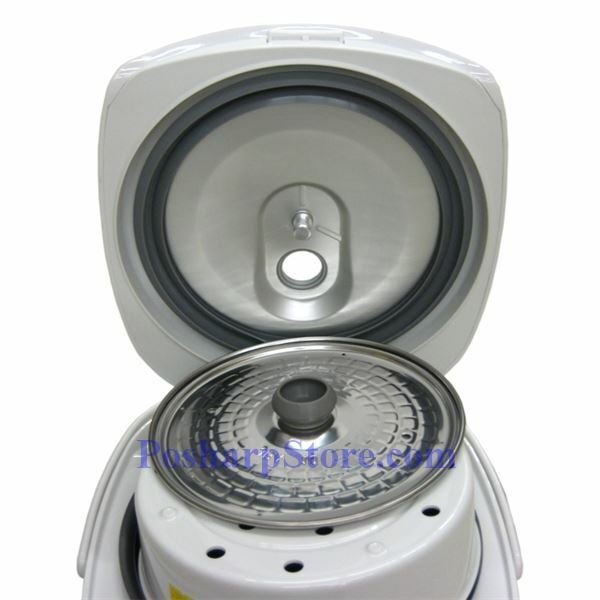 Special rice cooking technologies bring out the true flavor of rice.